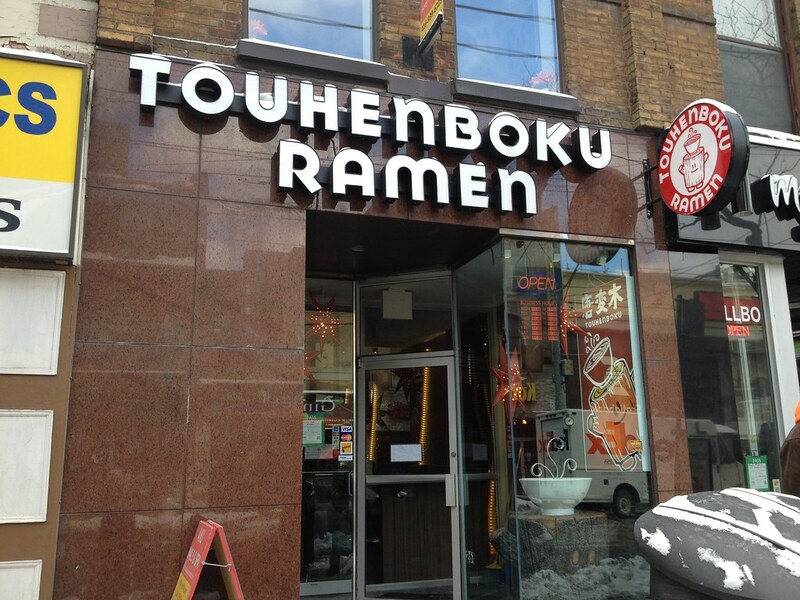 Opened in November of 2013, Touhenboku Ramen specializes in chicken based broth and is located at Queen and University. Their Twitter account, often featuring their mascot “Tomo”, is highly active and they’re quick to respond to direct tweets. Occasionally, Touhenboku runs lunch set giveaways via the social media network and I was able to win a free meal recently. Atmosphere: I arrived at Touhenboku just after noon on a Monday and the space was already packed. Sitting at a table near the front entrance, I saw quite a few disappointed lunch go-ers who didn’t have time to wait for a table. The restaurant seems like a hit for those who work in the area. 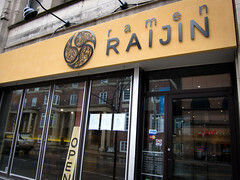 Like many ramen shops in Toronto the dining area seats about 20 people and offers bar seats looking into the kitchen. Service: At least 3 different servers looked after my table through the meal. The hostess greeted and brought me to a table, a different girl took my order and another served the dishes and refilled water. All the girls were really friendly, polite and soft spoken. My bowl of ramen arrived hot soon after my order was placed. When I was ready to wrap up, I didn’t know who to flag down or talk to and ended up awkwardly trying to make eye contact while putting on my hat and scarf hoping someone would notice. This was partially me being awkward, I didn’t want to just leave without talking to someone and have the people next to me thinking I was dining and dashing. 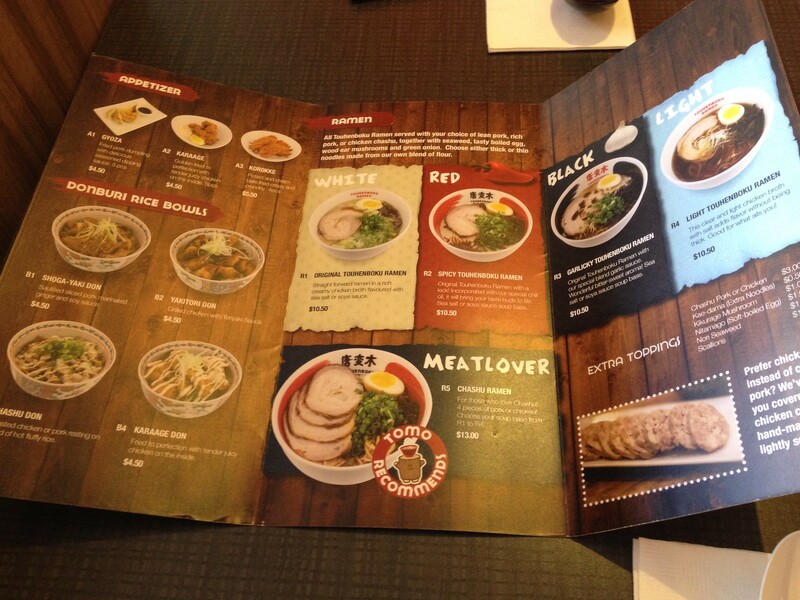 Food: The lunch set includes a bowl of ramen and a side. 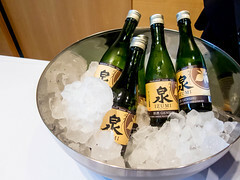 There are 4 types of broth named by colour, an option of salt or soy sauce seasoning, different cuts of meat for the topping including a chicken option, and a choice between thick or thin noodles. 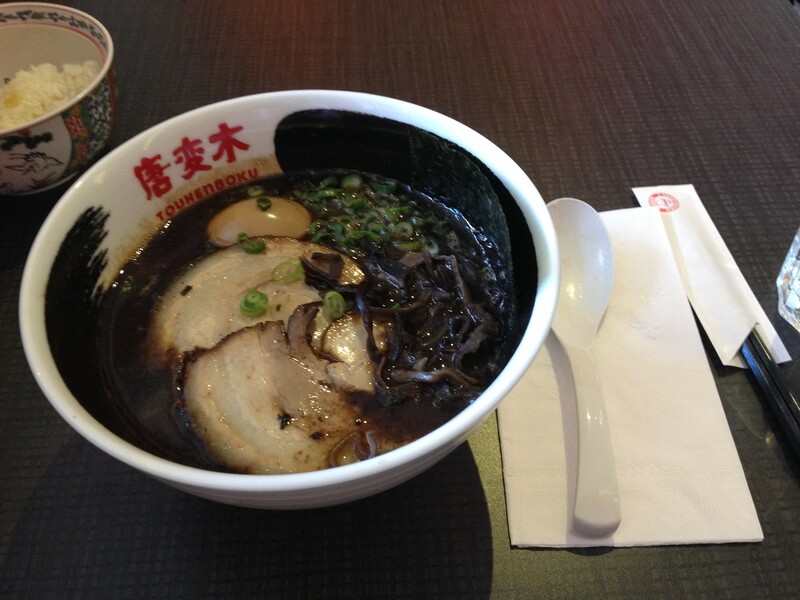 I went with the black ramen, garlic flavour, chashu pork belly and thick noodles. It was my mistake not reading the menu closer that warns of a bitter flavour for the black ramen. I was expecting a garlic ramen like Kinton’s but this bowl was much more bitter than sweet. 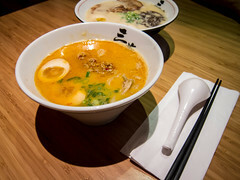 The broth was also salty and oily without being rich. I’m not sure if this could all be attributed to the garlic oil or the result of chicken vs. pork base. 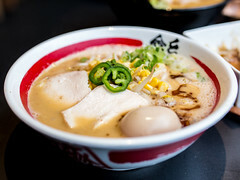 I may just be partial to tonkotsu ramen. I liked both the noodles and the toppings. A whole marinated egg was included, which would’ve been easier to eat if it was cut in half. The slices of pork belly had a nice char and were thinly sliced. The broth really didn’t work for me though. This was one of the only times I left ramen soup behind. 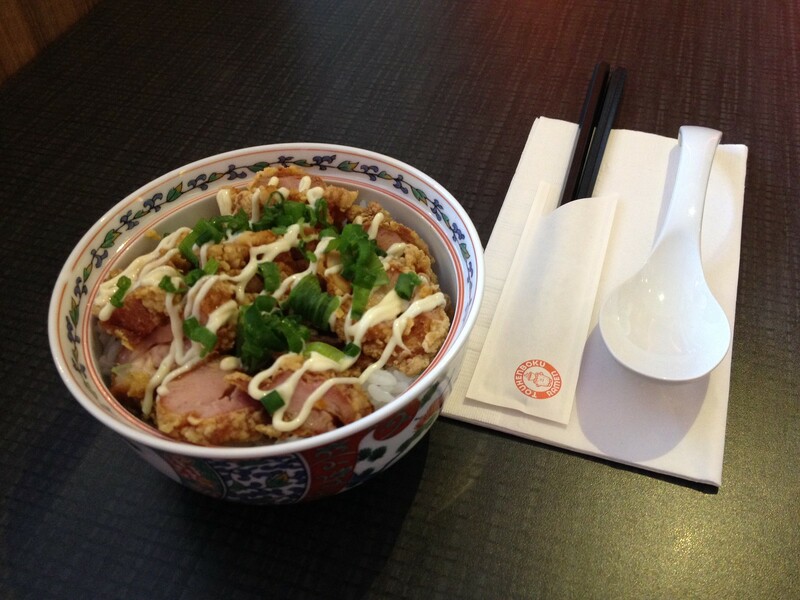 On the other hand, I really enjoyed my bowl of karaage. The chicken was super tender, crispy and topped generously with Japanese mayo. As a side dish, it was also a perfect size to be satisfying while leaving enough room for a bowl of noodles. 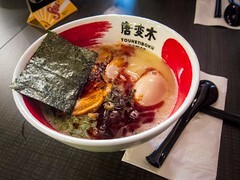 I would go back to Touhenboku if I’m in the area to try their original broth.